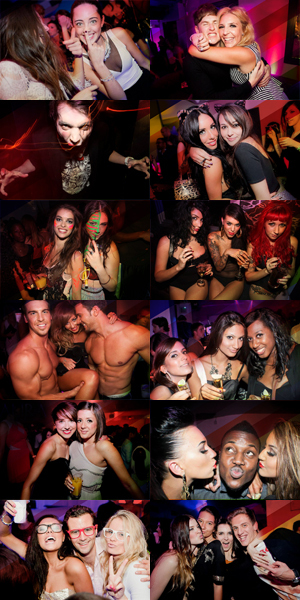 Harrington Club - The Hottest London Nightclubs - Get on the Guestlist & Book a table! The Harrington Club, located in the chic area of South Kensington, is the newest party spot for London’s most elite. Founded by Ronnie Wood of the Rolling Stones, the club was originally intended to be hangout for musicians to get together and collaborate. Now revamped and reopened, the Harrington Club is the guest list you will definitely want to be on for an amazing night out in London. In addition to being a noteworthy nightclub, you can come in early for a lovely dinner as their restaurant boasts an amazing menu full of a variety of organic dishes to choose from. All the freshest ingredients paired to perfection make amazing meals to have on a night out or before you begin your afternoon of partying and dancing. An extensive list of uniquely crafted cocktails is available to be enjoyed with dinner or after during the club hours while you dance to the eclectic set of music that plays throughout the night. Hidden away from the hustle and bustle of London’s crowded streets, the club has an intimate feel while having various rooms in which to party in, or even to book for a private gathering. The bar itself can also be booked for your personal parties to enjoy for an amazing private party. The bar and lounge area is adorned with a complementary mixture of red and yellow LED lighting and the bottles are stacked in levels, the drinks are neverending at a night on the Harrington Club guest list. The club lighting is kept dim while the walls are decorated with red and black as well as intricate wood paneling that definitely adds to the mood of the room. Throughout the room, an oriental influence is made evident and various decorations including red glass motifs, modern patterns adorning the walls. Intricate center pieces balance out a level of professionalism with being a notorious party haven. Many small tables fill the room, convenient for setting down a drink or purse, but definitely not cumbersome enough to get in the way of socializing and dancing. Seating areas also line the walls with red leather upholstery, adding an edgy feel that fits well into the clubs overall theme. The clientele here is distinguished and definitely one to be envied, no doubt that entry into this club will mean being surrounded by many glamourous people. Jerry Hall and Sir Tim Rice have been spotted there before, in addition to many other well known celebrities, so make sure to keep an eye out and dress to the nines to ensure you make it in to have an amazing night. When the music begins to fill the rooms, it can only be described as a variety of genres, a definite way to please any crowd. Most clubs play solely hip hop, house and r&b, but at the Harrington Club there is a wider variety in order to please all the guests whose musical interests may not be limited to those three genres. Being on the guest list for the Harrington Club ensures a night of personally catered music, cocktails and an incredible atmosphere to be surrounded by for a night of partying.